Heir to the Empire is set about five years after the first movie trilogy (by release date, i.e. after Return of the Jedi.) It features many of the principal heroes of the first trilogy including: Luke, Leia, Han Solo, Chewbacca, Lando Calrissian, R2-D2, and C-3PO. Obviously, gone are most of the bad guys from the movies, but in their place has risen Grand Admiral Thrawn—a master strategist who seeks to revive the Empire. Thrawn is portrayed more as a brilliant military man than a dastardly villain. This doesn’t mean he can’t be cold and villainous, but he also brings in a measure of intellect and rationality not seen in the movie universe. While it would appear that Luke is the last of the Jedi Knights, or the first of a new line if one prefers, that turns out to be not entirely true. I enjoyed this book. I bought it during a Kindle sale on what Amazon considered to be the best Star Wars books. While I’d seen the movies, I hadn’t read any of ancillary works, and so I Googled to find out which of the books on Amazon’s list were considered by fans to be the best. Zahn’s Thrawn trilogy, and particularly this first installment, seemed to be on every fan’s list. One of the great plot devices used in this book is a creature whose mere presence can nullify the force. This strips Luke’s powers away through a critical piece of the book. Yes, the introduction of this creature is deus ex machina, but it’s deus ex machina that challenges the protagonist–rather than making life easier for him–so it’s alright by me. Because Luke is the last of the known Jedi, he’s essentially a Superman among mere mortals, and so the book might have become tedious if Luke weren’t stripped to his native intellect and courage devoid of superpowers. Instead, he has to escape from the planet on which these creatures reside and help rescue Han and Lando in the process without any supernatural abilities. As mentioned, this is the first book of a trilogy, and, therefore, it leaves many major issues unresolved. Multi-part series usually have less satisfying endings than a stand-alone book, and I can’t say it’s not true of this work. However, this first book of the Thrawn trilogy does contain a clear climax and a definitive tactical (battle-level) resolution. The book intersperses chapters from the hero’s point of view (PoV) with those from the Thrawn’s ship. This book begins with a chapter from the enemy’s PoV, and so for Star Wars neophytes—such as myself—one enters into a whole new territory in which it’s not quite certain when or where one is in the Star Wars universe. However, in subsequent chapters Luke, Leia, and Han are introduced and we learn that Han and Leia are married and that Leia is pregnant, and this gives one insight into the timeline of the book. We also learn that while the Empire seems to have been destroyed, the Republic is on weak footing and is having trouble reestablishing itself. The book introduces us to a couple of new characters that I understand will become established in the expanded Star Wars universe. The most intriguing and important of these is Mara Jade, the right hand woman of the most powerful smuggler in the known universe. We soon learn that Mara despises Luke Skywalker and wants nothing more than to dance on his grave. However, we don’t learn until much later why it is that she hates him, and we learn after a time during which the two are forced together by circumstances. Mara Jade is a force to be reckoned with. While she might not be a match for Luke the Jedi, she is more than a match for Luke stripped of his powers. It seems clear that Zahn is building a relationship between Luke and Mara with their interaction in this book. Luke is oblivious to why Mara dislikes him, or even who she is until he is explicitly told, but events force them to spend time together under trying circumstances. All in all, I liked this book. I found it readable, and thought that it did a good job of maintaining tension throughout. Are Action Movies Dazzling Us Stupid? 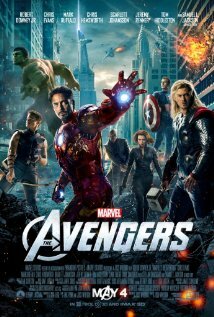 Just like everyone else, when I first watched The Avengers, I was awed. As I digested the experience, however, I realized how appallingly flawed the story was. 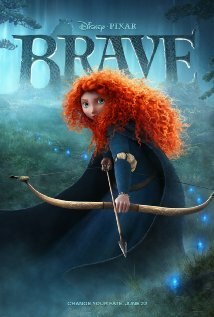 Can a film that is visually impressive enough dance over the hard parts of story? Alright, it’s not just being visually impressive. 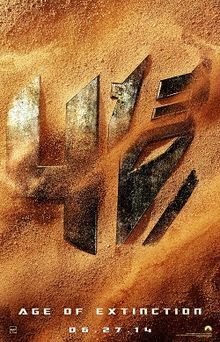 If it were, then the Transformers movies (I’m thinking particularly of the second one) wouldn’t be so sucktacular. No. Filmmakers also need clever quips. This feeds an inexplicable urge of young people to repeat the witty remarks of movie characters ad infinitum. (Confession: I’ve always longed for an excuse to say, “I’m your Huckleberry,” as per Doc Holliday’s words to Johnny Ringo in Tombstone.) It’s not just that the Hulk bashes a marble floor to dust using Loki’s lanky frame, but that he delivers that witty, two-word rejoinder. Together the CGI and the quip seal the scene in one’s mind. One may be thinking that I’m just one of those douches who picks nits, but I’m really not. These flaws are fundamental to how the story is resolved. They are cheats that make everything that happened leading up to the climax irrelevant. Think about it; if the Professor had gotten knocked on the head 20 minutes earlier, the massive Avengers battle through Manhattan would never have been necessary. They could have called the movie “Professor Selvig’s Magical Mind” and left the Avengers out of it all together. I’m willing to sustain disbelief about the small things. There are plenty of critics who get into the minutiae of continuity gaffes and the like. A couple of my favorites are below. Lest one think that I’m picking on The Avengers, that’s only because it’s the third highest grossing film ever and first in the superhero genre. If you’re spending hundreds of millions on a film, you’d think you could throw some chump change into good story-building. I realize that filmmakers have a jaded audience to contend with, and that they have to ramp up the peril to impossible heights to impress. Maybe they are forced to then throw away the resolution of story. Those who read my recent review of The Wolverine, will know that my criticism isn’t restricted to The Avengers. Well, I’ve got nits to pick. In political economy, “Dutch disease” is a term used to describe a situation in which a nation’s windfall successes in one sector lead to everything else going to crap. Dutch disease reminds me of a phenomenon rife in television today. A series pilot is shown. It’s wildly successful. The writers came in with a clear overall narrative arc, but now the show is a cash cow and they have to extend it out indefinitely. This is a script-writing nightmare. Writers have to give the viewer a new puzzle piece each episode but they’ve got to end the episode with a cliffhanger and they’ve got to be able to tie up all their loose ends at some undefined point when the series becomes a train wreck. I was aware of this phenomena, let’s call it “Cash Cow disease,” when Lost came on the air. I’d been through it with the X-files. But damned if I didn’t go and get myself engrossed in Lost. Lost started out with such promise. It seduced me, and even when it became clear that the writers and director might not know where the ship was headed, they kept feeding me tasty bread crumbs. Then the network said, “Get us off this crazy train, quickly.” So it was that the show that began with an atomic bang ended with the whimper of one of the worst endings ever. Having been hurt twice thusly, I’d given up on watching television serial dramas. Then I made the fatal blunder of watching the pilot of The Americans. Why did I do this? Ironically, I probably watched it because I assumed it would be bad. It was, after all, a Cold War show in a post-911 world. Oh, the thwarted expectations. Now, I’m hooked. 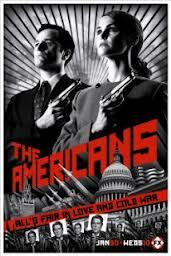 The Americans is about a man and wife who are Soviet sleeper spies during the early 1980’s. The couple lives in the suburbs of Washington DC with their oblivious kids, and appear to operate a travel agency (for young readers, there used to be people who booked one’s flights and hotel before the days of Kayak, Orbitz, and Travelocity.) In reality, however, the couple are deep cover spies who are attempting to get information about America’s ballistic missile shield, Reagan’s “Star Wars”, and other strategic concerns. The show depicts the cat-and-mouse game of Cold War espionage with great tension. In an act of coincidence that strains credulity (but which is no stranger than things that actually happened) an FBI counter-intelligence agent moves in right across the street from the couple. The KGB couple and the FBI man are working at cross purposes without the FBI agent (played by Noah Emmerich) being the wiser. (Emmerich’s character has early suspicions that he dismisses as paranoia after a close call for the KGB couple.) The male lead KGB sleeper spy (played by Matthew Rhys) plays racket-ball with the FBI agent. This apparent friendship is to the chagrin of the female lead (played by Keri Russell) because she’s not quite sure if her husband is working the FBI man (as he says), or whether he’s facilitating changing sides. Part of the tension of the series stems from the fact that Keri Russell’s character is a dyed-in-the-wool patriot of Mother Russia, but her husband is having second thoughts–he sees himself as a family man first and a patriot second and America is growing on him. This tension is made all the more complicated by the fact that she seems to be just starting to fall in love with him, though he seems to have loved her from the early days of their planned, forced, and in some sense fake relationship. I can already imagine how the wheels may roll off. There’s a supporting character, a mole in the Soviet Embassy (played by Annet Mahendru), that I imagine they intended to kill off to add to the angst of the Emmerich character (the FBI agent cultivated her through “soft-blackmail” and acts as her handler.) However, she’s really an endearing character. In a field of patriots that sometimes approach zealotry on both the US and Soviet sides, she seems to just want to have a peaceful life, but she’s trapped. Despite being manipulated, she’s a strong character. I can imagine her becoming a more central role–not that that’s an inherently bad thing. I’d like to recommend this show, but I face a dilemma. If fewer people watch, I think it’s more likely to end well.